Chuck Bell has been a Meteorologist with the News4 StormTeam4 since October of 2004. 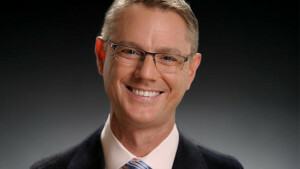 His forecasts can be seen on News4 Today throughout the week and weekend, on NBCWashington.com and on 103.5 WTOP. Growing up outside of Atlanta, Chuck became a weather fanatic at a young age. Bell’s first weather memory dates to April 4, 1974 when, as a first grade student, he and his classmates spent the entire afternoon in the “duck and cover” position in the hallway as tornado producing storms roared overhead. From that point on Bell was interested in anything and everything weather related. When it came time to select a college there was only one school that could offer a weather experience as well as a weather education – The University of Oklahoma. After years of storm chasing from Texas to South Dakota, and interning at TV stations in Oklahoma City, Boston and Atlanta, it was time to hit the airwaves. Bell’s broadcasting career has included stops in Albany, GA, Greenville, SC. Roanoke, VA and Oklahoma City, OK. before he arrived at NBC4. Some of Bell’s favorite weather events include the first “Storm of the Century” – the March 1993 storm which crippled the Western Carolinas and much of the East Coast. The “Blizzard of ’96” which left 29″ of snow in the Roanoke Valley, and Hurricane Isabel which flooded the Chesapeake Bay in 2003. Though he is a snow-lover who was perfectly happy with Washington’s record setting snowfall in the winter of 2009-2010, his most memorable weather experience was working the May 3, 1999 tornado outbreak while working for KOKH-TV in Oklahoma City. On that terrible day, central Oklahoma experienced more than 60 tornadoes that claimed the lives of 50 people and did 1.9 billion dollars in damage. Bell, and his co-workers at KOKH, did non-stop coverage of the storms for almost 9 straight hours. His efforts garnered him the “Governor’s Humanitarian Award for Outstanding Service” which was presented to him by Oklahoma Governor Frank Keating on June 23, 1999. When not focusing on the forecast Bell is an avid distance runner. He has completed the Marine Corps Marathon in DC 3 times and hopes to keep running it every year. When the weather is nice he can often be seen cruising downtown DC in his vintage 1962 Corvette. Having owned the car for 15 years he has still only driven it with the top up a handful of times.